AG series digital power amplifier is our new flagship product which features multiple adjustment technology, over 95% efficiency and stable function in the low impedance and high current situation, active PFC and soft switching of the switching mode power supply, 90~260VAC universal power supply. AG series has 2 channel and 4 channel products. 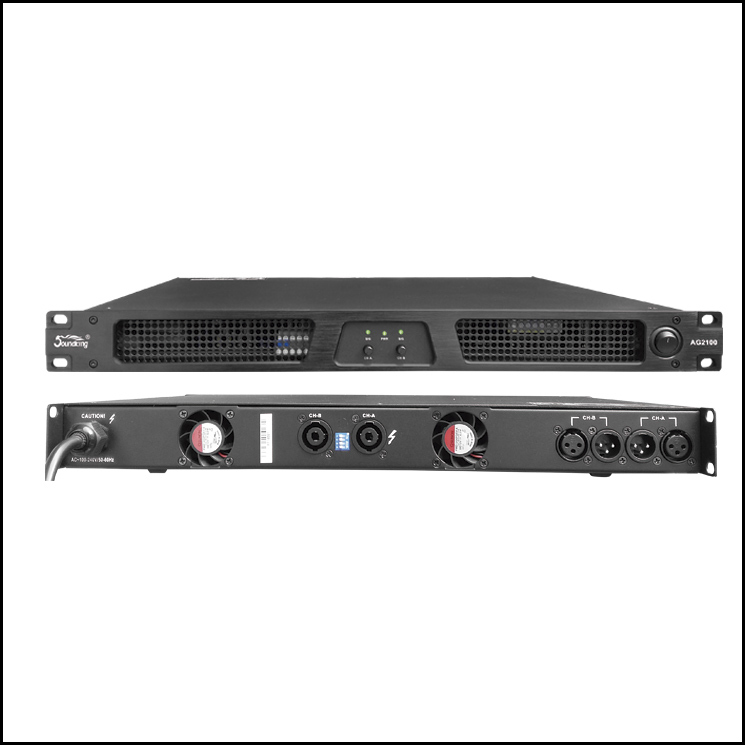 The high efficiency and reliable performance and the capacity to drive 2Ω load are suitable for line array system.